Although student mobility in Africa is high by global standards, African students are under-represented in the best international universities. This raises questions about the standard of education. A combination of a lack of high-quality applicants, limited recognition of local qualifications and outdated, traditional teaching methods, there is significant potential to improve African schooling. Enko Education is taking up the challenge and tackling the complex African education system. Increasing the number of African students at these prestigious institutions offers many advantages. Those who choose to return to their home country (“repats” as opposed to “expats”) reap the benefits of better employability, a more extensive network and proven entrepreneurial skills. Those who decide to stay in the country where they study – usually a developed country – have the potential to earn higher salaries and can send money home on a regular basis. In Senegal, 67% of money sent home by the diaspora goes towards financing education for other family members. 2 In either case, giving African students access to the world’s best universities has a considerable impact on the continent’s economic development. The under-representation of African students in renowned universities is not just down to financial limitations. India has a similar demographic weight and per capita GDP to the sub-Saharan region, but sends 100,000 students to the US, three times more than Africa. In addition to this, African students are already finding the money to study abroad. According to UNESCO, around 10% of Cameroonian students go abroad for their higher education, five times the world average. The problem lies in secondary education. In the wake of the Millenium Development Goals, the goal of providing universal primary education has led to a focused effort and positive results: the net percentage of children receiving primary education increased from 58% in 1999 to 76% in 2010. 3Sadly two-thirds of pupils do not go on to study at secondary level. Those who do study at secondary level find themselves in overcrowded classes of 120 or even 150 pupils, as at the Lycée Bilingue d’Etoug-Ebé in Yaoundé, 4 and receive an extremely traditional education based mainly on memorisation. The national exams are not standardised and the diplomas they receive are not internationally recognised. Developing high-quality secondary schools is the only way to ensure talented students get into good universities and go on to contribute to the development of the continent. How do we explain the discrepancy between mobility and under-representation? With African students among the world’s most mobile, their low representation at major universities is an anomaly. A lack of top quality applications is the reason most often cited. Each university and country has its own admission procedures and they are not always easy to understand from the information available on public websites. The network of current students and alumni is not strong enough to provide the motivation, examples and guidance students need for support. The fact that candidates’ national qualifications are not recognised is another obstacle. As there is no standardisation across these documents, applications from African candidates are very difficult for major universities to assess. With 54 countries, just as many national programmes and no standardisation, it is difficult to compare qualifications awarded in Africa. Besides this, exam pass rates fluctuate from one year to another. In Cameroon, for example, 59% of secondary school students graduated from the secondary cycle in 2010, but only 39% in 2011. 6 Fluctuations like this undermine the credibility of qualifications: pass rates should not vary greatly from one year to another unless there are exceptional circumstances. Since, the majority of schools in sub-Saharan Africa still use traditional, teacher-centred methods that are are based on memorisation. These fall short of international standards, which strongly advocate an analytical approach and individual thinking. In most African countries, secondary schools need a complete overhaul of curricula, exam organisation systems and teacher training programmes. 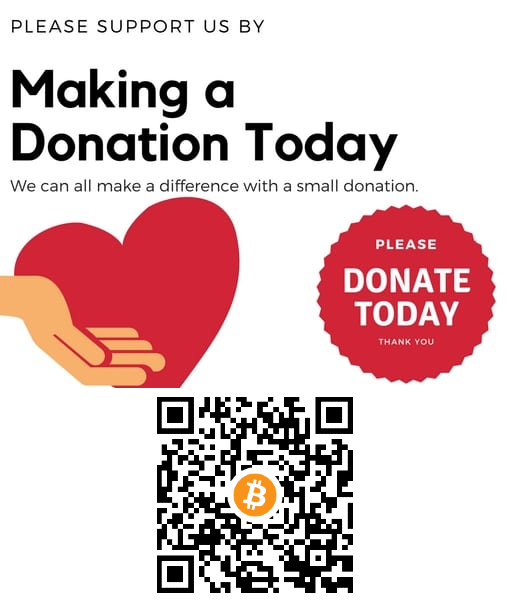 In the face of this enormous challenge, there is an opportunity for the private sector to support the work of governments and international institutions. Private stakeholders play a crucial role in improving the education offered in emerging countries, where there are now more private schools than state schools. This growth is in its early stages in South Africa: enrolment in state schools decreased by 9% last year, while there was a 44% upsurge in the private sector. 11 The same can be seen in Nigeria, Ghana and Kenya. 12 The continent is developing along the same path as Asian countries, in China 13 and India, 14 student numbers in private institutions have risen by 8% and 6% respectively. Meanwhile, state schools are struggling to attract students, with only 1% growth in India and a decrease of 2% in China. The popularity of international private schools is another critical factor in Asian countries. An increasing number of parents want their children’s education to meet international standards, leading to a recognised qualification and provide a good grounding for studying at major universities. The Dipont network in China exemplifies this trend: the 6,000 students in Dipont schools benefit from international programmes preparing them for the International Baccalaureate (IB), Cambridge A-Levels, Advanced Placement and globally-recognised qualifications. 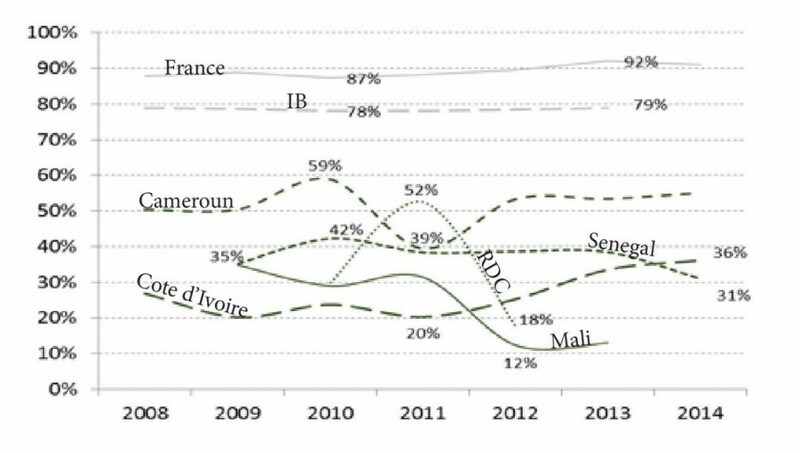 The growth of international private schools in sub-Saharan Africa has been minimal: there are 105 institutions in the French school network, compared to only 52 IB World schools. Although they were originally set up to serve local communities, these schools are still only accessible to the elite, with annual school fees averaging 12,000 euros. However, an initiative similar to the Dipont network is emerging: Enko Education. This Johannesburg-based network is developing international secondary schools for local students from middle-class families. It provides students with the opportunity to achieve the International Baccalaureate, which has fast become a global educational standard and a key entry requirement for the most highly-regarded universities. The International Baccalaureate uses modern methods, placing students at the centre of the learning process, encouraging them to take ownership of their educational experience and positioning the teacher as a facilitator rather than the only source of knowledge. As well as traditional academic subjects such as MFL, mathematics, history and the arts, the curriculum encourages students to develop a critical mind and improve their interpersonal and time management skills. These “soft skills” are essential in modern society, but remain largely undeveloped in traditional local schools, both private and state-funded. Adzo Ashie, Regional Manager for Africa at IB, confirms, “Our IB curricula are the best way to prepare for admission to major universities.” In fact, the Higher Education Statistics Agency reports that 40% of IB pupils obtain a place at the top 20 British universities, compared to 20% of pupils holding other qualifications. The same study shows that IB students are more likely to obtain an honours degree and enjoy a well-paid career. 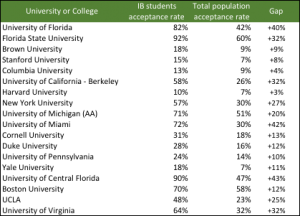 In the US, IB students may increase their chances of securing a place at an American university by as much as 40% (figure 3). Enko Education has taken on the challenge of making the International Baccalaureate more accessible to the African middle class by significantly reducing tuition fees. 18 Depending on the school and age group, annual fees are fixed between 1,900 euros and 3,000 euros. Financial assistance is available for children from disadvantaged backgrounds – for the most gifted students, this may extend to their entire tuition fees. Enko Education has been able to streamline its costs and keep its tuition fees four times lower than the average for other international schools by making two major decisions: focus investment on educational needs rather than infrastructure, and only recruit teaching staff locally. “Our priority is to invest in teacher training and educational equipment like IT facilities and laboratories, rather than in buildings or luxury sports facilities, which are always much cheaper for us to rent,” explains Eric Pignot, Co-founder and Chief Operating Officer of Enko Education. “We recruit the best local teachers, offering them attractive salaries and training them intensively for their IB accreditation.” This enables Enko Education to keep costs low and create stable, skilled jobs within the region, unlike other international schools which depend on teachers from abroad and pay expatriation fees. “We plan to create 1,200 jobs in the next five years,” adds Eric Pignot. Enko is also developing a central support platform to bring economies of scale to schools as well as products and services that no institution would be able to offer on its own. This controlled and unprecedented management approach allows Enko Education to foster large-scale development of its private school network. Through its innovative business model, it can control costs and quality while giving eligible pupils broader access to international education. While state education is facing its own difficulties and lacks the financial resources to fulfil the needs of local communities, private schools are flourishing and offer the solution to parents in Africa’s emerging middle class who are prepared to pay for their children to receive a better standard of education. Private education in Africa is becoming a very attractive sector for investors. There is an enormous demand for high-quality private education, driven by the world’s fastest population growth and the emergence of a middle class that firmly believes its children’s education is a high-priority investment. Non-cyclical, with low susceptibility to economic risks, the sector offers excellent visibility. As well as this, its margins provide a very attractive prospect of ROI. Enko Education is a thriving network of international schools in sub-Saharan Africa. By offering a globally-recognised programme at an affordable price for local middle class families, the start-up is helping to democratise modern, high-quality secondary education. Enko has set up a merit-based scholarship system with the aim of providing talented students whose family incomes are insufficient to cover tuition fees with the opportunity to access excellent international education for free. The start-up already has schools in Johannesburg, Yaoundé and Maputo, and will open four new schools in Douala and Abidjan in September 2016. Enko schools are achieving positive results; four of its Cameroonian students have obtained placesat summer camp at the prestigious Yale University in the US. 18 he boundaries of the middle class are still vague, making this group difficult to define. According to Ipsos, it would be more accurate to refer to a lower middle class, earning between 12 and 25 dollars a day per household, and an upper middle class, earning between 25 and 50 dollars a day. Ref. Le Monde Afrique: La taille de la classe moyenne africaine divise les experts.